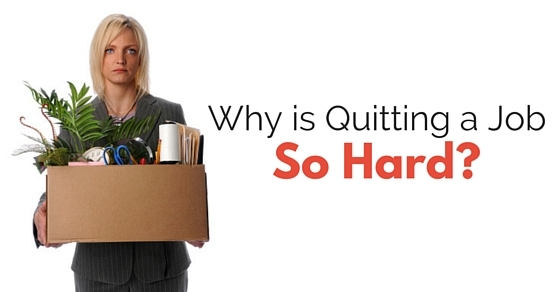 Why is Quitting a Job so Hard in Different Situations? When you work for a company do not quit it without having any other alternate job in hand. It is a very big risk where you end up lag in your career. If you are not satisfied with a company where you are currently working, try to search for another company and then take a decision to shuffle. Since if you didn’t find a job after resigning to your previous company you will find a big gap in your career and you will start losing opportunities. Most of the people who are working in a place or in the office suddenly receive some kind of mail or letter about termination or any other reason, but at that time the main thing which keep on bugging you would be about another job. There may be several reasons for quitting a job such as quitting intentionally, for starting a business and terminations. All these actions always come with a reaction that is how to find a new job. Here are some of the situations when quitting a job can be tough at some point and they are as follows. There may be a possibility of losing another job interview just because of your previous job profile. It happens at that point of time when a person was terminated from his / her job with some unlikely reasons. And at that time when an interviewer asks something about his / her previous job than being completely honest about it can turn in as a favor. Therefore, these kinds of situations can be a little tricky if an interviewer expects to know the reason for termination. At some point of time, it seems a bit tough to quit a job without having any other job in hand. But in some case, people might quit a job because of some plan about business. And these are the two different situations of career risk. A person who quits a job without having any other option may seem to be in higher risk factor because career risk comes with an open package and once it has been used then there is no way that anyone can redeem it again. When a person quits his / her job the main thing which keeps on bugging him/her would be the focus. It happens most commonly that when a person quits his / her job without any other job in hand, it is possible that the person who just lost that job may seem unfocused. In other cases like quitting a job for the sake of some business venture, and in that kind of situations, most of the people stay focused about their new business ventures. Working in an office holding a really good position and then decides to quit that position in that office with some valid reason without any other idea about a new job. And after a while when a person decides to start his / her search of a new job, there may be a possibility that a person might end up in a job which offering him/her a lower position than a previous position. At that time this quitting decision was regretted the most. Never leave or quit a job before searching for a new job. And never think that once you leave or quit a job, you can start thinking about searching for a new job. It is the dumbest decision of anyone’s life. Therefore, after searching for a new job and confirming all the payment details the person can think of quitting his / her previous job with some background support. Initially, a person faces situations of unemployment due to his / her stupid decisions. At that time, most of the people get into thinking that it would have been better if he/she wouldn’t have quit the job for their lower income. But after some time when he/she tries to change his / her job, then at that time they decide to search for a job first then thinks about quitting. Therefore, eventually, the feeling disappointment may vanish as per a timely encounter. When a person quits a job the main thing which affects everyone would be that the reason for resignation. The reasons for resignation can be anything such as personal or professional. But it happens that just because of some silly reason people decide to quit a job and they, later on, regret that decision. Sometimes it even happens that a person quits his / her job because of any business idea and it may be possible that the business idea can work out for them in a better manner than a regular job. Once a person decides to quit a job for any reason it is necessary to understand or divert focus on other job profiles. These other job profiles may seem different, but it is the best option to go for after that horrible mistake a person made with last job profile. Therefore, it is safer and better if a person who recently quits a job and tries for a different area of working just to give a fresh start to his / her professional life or career. As mentioned earlier, when a person has been offered a job position which is lower than his/her previous job profile, then it is possible that people might regret their quitting decision. And if there are some of kind financial problems which is making life hell, then that person has to take that job without any extra payment. Therefore, it is possible that the quitted person may end up having a job which is offering him / her a less payment or salary. When a person starts experiencing negative aspects in the office, then it is a sign that he / she cannot survive in that office for more time. It is possible that when he / she decides to quit a job, then they seem to lose a positive work atmosphere in that particular company. Therefore, when a person experiences some of the negative approach in the office then it should be clear that it is time to leave that job. When a person fails to get a job after quitting his / her previous job then it is possible that a person made a wrong decision of quitting his / her previous job in a wrong time. Sometimes it is possible that a person quits a job with a thinking of a job offer from another company. Therefore, it is a very tricky decision to survive in this growing job market. While quitting a job there is one element that a person who is quitting a job need to take care of and that is a new job. A new job is not so easy to get and it takes time to select a new job. Never leave or quit a job before searching for a new job. And never think that once you leave or quit a job, then you can start thinking about searching for a new job. Make sure that your financial situation is not going to dig deeper in future with any of your decisions. And never keep changing from one job to another for the sake of financial growth in his / her professional life. It may seem less bad when an interviewer checks on his / her resume and sees all the frequent job change details in a year. And this kind of change can make them think about the seriousness about the job you have been kept resigning over a year. Therefore, it is always better to keep resume short and precise. If a person who decided to quit a job, thinks over quitting for a business plan, then it can be a favourable situation when a person should have been prepared with all kinds of investment issue of new business proposal. It is even possible that a person is quitting a job without any sponsors for his /her business plan. Therefore, to be safe with these kinds of business ideas, a person need to be sure of all the elements of business before taking such decisions. Sometimes the situation gets so ugly that a person who is quitting his / her job for some kind of business plan may face some kind of unwanted financial problems. And at that time it is necessary to differentiate all the benefits between working and non-working profile. Therefore, before taking such kind of decision a person needs to be sure of all the financial crisis, which can accompany a person in his/her tough situations. Even after working for a while in the office when a person decides to quit a job then it is possible that a person may be having second thoughts about his/her decision about quitting a job because of some of the financial problem. And once the problem is solved when a person rethinks about his / her quitting decision, then he/she should first checklist all the future growth in the company. Therefore, a job comes not just with salary, instead, it also comes with some of the opportunities for future growth in that company. While quitting a job there is one element that a person who is quitting a job needs to take care of and that is his/her HR department. While explaining the reason for resignation a person needs to be truthful to HR department so that they can avoid some problems regarding company benefits or other important papers which will be helpful for them in their future decisions. Therefore, it is important to make sure that a person is relieved from a job after receiving all the benefits and letter from the company. Instability can be maintained at the time of a new job, but what if a person fails to find a new job, then the problem of instability will remain the same in their personal and professional life. Therefore, it is necessary to understand all the factors of quitting a job before making such decisions. And maintaining stability should be the main element to focus on, at that point of time. To end this decision making discussion, we would surely suggest all the employed people that to never leave a job without any other option and if a person decides to leave then he/she should understand all the above-mentioned problems which they are going to face with this kind of regretful decision. Previous articleHow to Deal With a Long Job Interview or Hiring Process?